So, MapleSeaers. We all have been asking this terrible, terrible question that has been burning in our minds for so long, oh so long. WHEN IS LEAFRE AND THE 4TH JOB COMING OUT? 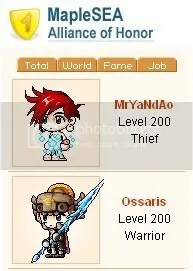 Surely the amount of training these Maplers have put in should be rewarded, am I right? And the perfect reward would surely be the release of Leafre and the much-anticipated 4th job advancement. However, we only know that it will be released this year, as the Wizet game developers had said so to a question at the Maple Story Offline event. But is this true? When exactly will it be out? Many predict that it will be out with the next patch, as there has been no update for high level Maplers ever since the release of Zipangu. But, again, we will never know if this is true.